What can ReviewBooster do for You? 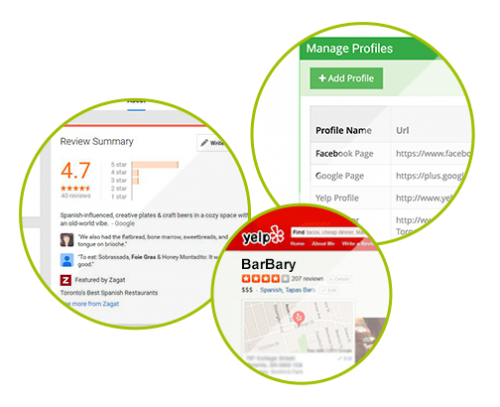 Add your profile pages from Yelp, TripAdvisor, Facebook and other third party review websites. Manage all your profiles in one place. Tip: Take the opportunity to add your business to all relevant review websites. Contact us if you need help find the best online review profiles for your industry. 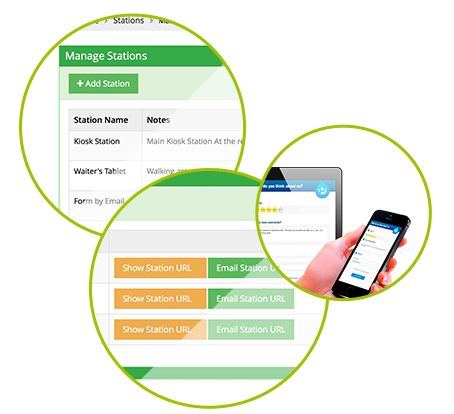 Station is a unique online review form, serving customers at different locations. Can be tied to specific counter, location, service person, or even virtually. Open as many Collection Review Stations as you want, depending on your needs and business structure. Most common Collection Review Station use case is physical (a kiosk tablet or PC) or virtual (link sent by email). Formulate multiple email templates to every situation: “Thank you” email to your biggest fan to “apologies” email to your angry customer. 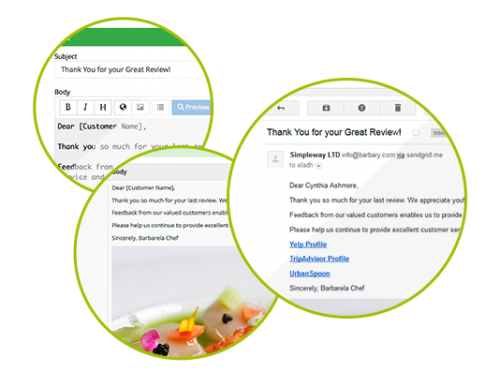 Email template can contain one or more of your online business profile and allow your happy customers amplify your positive reviews. Need help with drafting best converting email ? Contact us and we will be happy to assist. 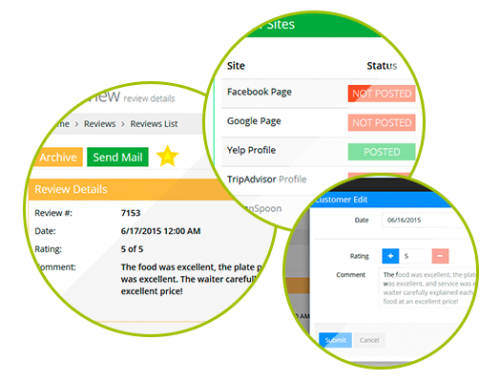 Monitor your online reviews in real time and decide which reviews you want to leverage and which reviews requires your immediate intervention to resolve negative experience leading to a potential negative online review. You can also add important reviews to your watch list, archive old reviews and more. Watch your reputation growth in real time. Monitor your reputation trending, how many reviews submitted and what is your average rating. Clear and easy visual analytics to know what your customers think about your business at any given time and help you take the business decisions that will maximize your customers’ positive experience. 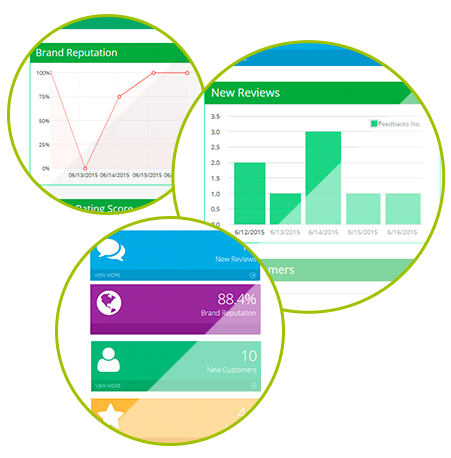 ReviewBooster is an Online Reputation Management tool that enable businesses to leverage earned media by collecting and monitoring customer reviews at the point of sale or service, amplify the positive and intercept the negatives.